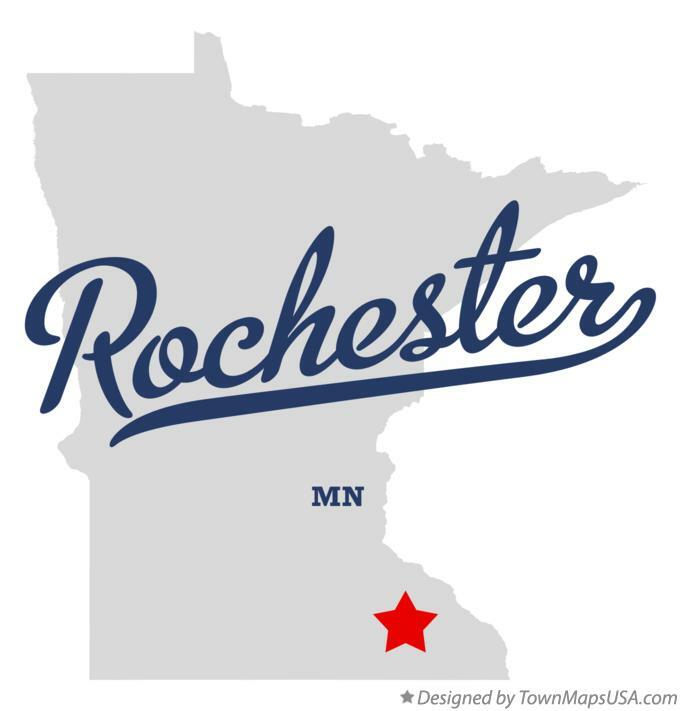 Named the best place to live in the United States several times, Rochester, MN is a growing city of roughly 115,000 people. Rochester is located on the south fork of the Zumbro River in Olmsted County, and it's Minnesota's largest city outside of the Minneapolis-St. Paul-Bloomington metropolitan area. Rochester is a beautiful city originating in the mid-1850s as a stagecoach stop. The arrival of the railroad made for quick expansion with new migrants arriving daily. One such person was Dr. William W. Mayo, the founder of the renowned Mayo Clinic, now the foundation of Rochester's economy. With Destination Medical Center (DMC) planning for the Rochester, MN area, the population of the area will be on a rapid incline over the next several years. While more than 34,000 people are currently employed at the Mayo Clinic, other major companies in the area include Olmsted Medical Center, IBM, and the Rochester Public School System. When Rochester residents are done working, recreational activities such as fishing and hiking are popular. Fine arts are well-developed in Rochester as well, with the Rochester Art Center located downtown. Besides Rochester, MN residents, there is a great number of Mayo Clinic patients and families that come to the area seeking high-end medical and specialty treatment. Some travel for short term diagnosis, therapy and/or treatments while others are here for months and years as they are cared for by doctors and medical teams. Additional, as a world-renowned facility, Mayo Clinic is considered an exceptional education and teaching facility for residents and others learning cutting edge treatments and technologies. Often times, these students of every medical area stay only a few years before they take their knowledge and experience learned here to other cities across the US. Because of the large number of the transient visitors and students, they are likely looking for the best auto repair facility that will service their vehicles while in Rochester, MN but also have warranty protection when they leave the area. Babcock Auto Care is a premier auto repair shop with a Nationwide Warranty for peace of mind for all Rochester residents. We are proud to serve all people in Rochester and surrounding communities, providing reliable auto repairs. Our professionals are dedicated to excellent customer service and complete auto repairs and service. We use cutting-edge tools and equipment to diagnose and repair your vehicle fully while ensuring your comfort and satisfaction at every step throughout the process. We are conveniently located at the corner of 55th St. NW and US-52.